Heart pounding, eyes darting upwards, feet hitting cold, hard ground. The people are coming towards me, pushing and shoving, but I weave in and out of the crowd to get to the lights, wherever they are coming from. I arrive at a park, and duck beneath a rope to bypass the stream of people – Is this restricted area? No time, keep running – and slow down to a jog for fear of tripping over exposed tree roots. It is dark all around, but straight ahead, I can see a yellow glow emanating from between the trees. I hurry towards the light and call out to my companion who has become as frantic as I am. “Look!” I shout while pointing upwards. Through the dark silhouette of leaves and branches, we see hundreds – thousands, even! – pins of light. There is music playing – a melodic and entrancing chant that drifts and settles on us like a hazy dream. 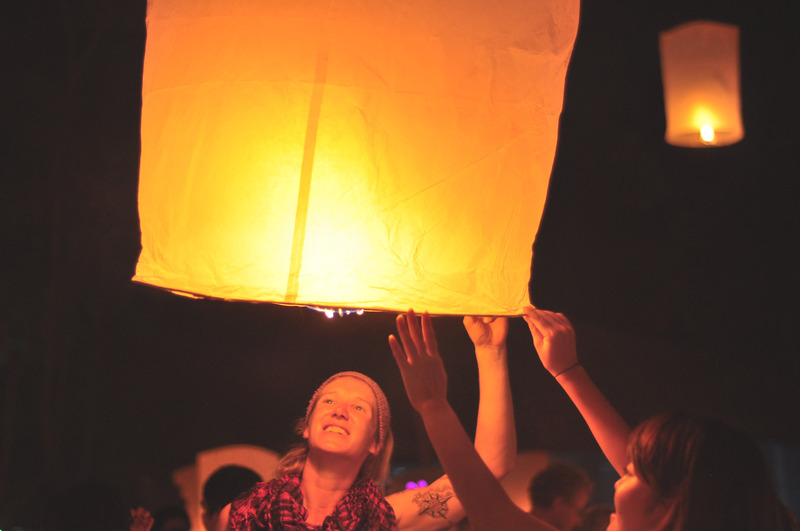 It triggers in me a wave of emotions as we make our way towards the clearing, where large groups of people are standing and waving to the floating lanterns. I feel tears welling up – there is a bit of disappointment at having missed the big release – but we made it. I am here: Heart pounding, eyes cast upwards, feet planted firmly on the ground. It started as a photo from a National Geographic competition. 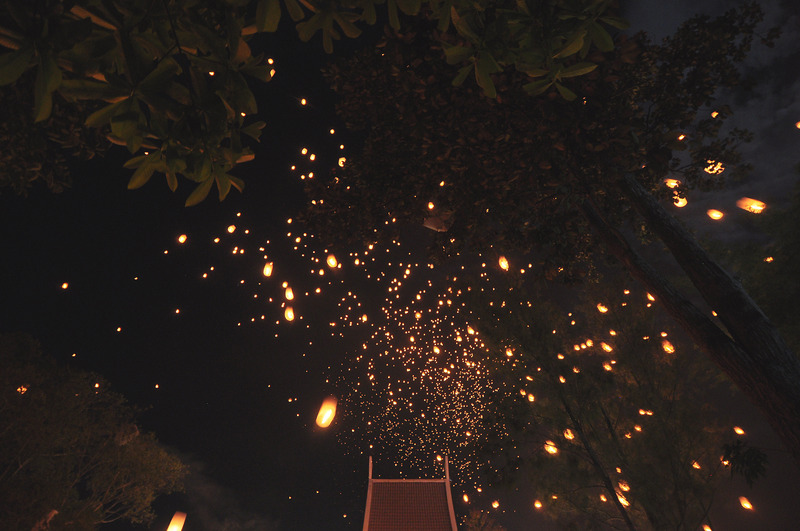 Shortly after graduating from college, I saw an image of the floating lanterns in Chiang Mai, Thailand. It was shot from below, so it’s as if you’re actually there with the people, looking upwards at a sky filled with wonderful glowing lights. The photographer, Chumlong Nilkon, explained, “We believe that it’s a symbol of problems and worries floating away.” It was, at the time, an impossible dream. Nevertheless, I saved the image, like a dutiful HR officer putting a resume on file, setting it aside together with the rest of my impossible dreams, and told myself that one day, if I had the time and the means, I would make it happen. We spend a lot of time waiting for the right moment and the right opportunity. I’m not saying it’s a bad thing; it turns out you learn a lot from the waiting, too. I didn’t quit because I hated my job – in fact, it became the place where I grew a new and stronger heart; where I learned to be tough-skinned and dedicated to a deadline; and where I met super awesome and creative people who accepted me despite my uncontrollable urge to blurt out puns. I now realize that everything I had gone through there gave me the courage to do what I’m doing now. I’ve never been very good at staying still, but I delayed it for as long as I could because honestly, I was having fun. It just came to a point when I couldn’t wait any longer. So I took my impossible dreams from the dusty, old file cabinet in my brain and told myself it was time to be brave. 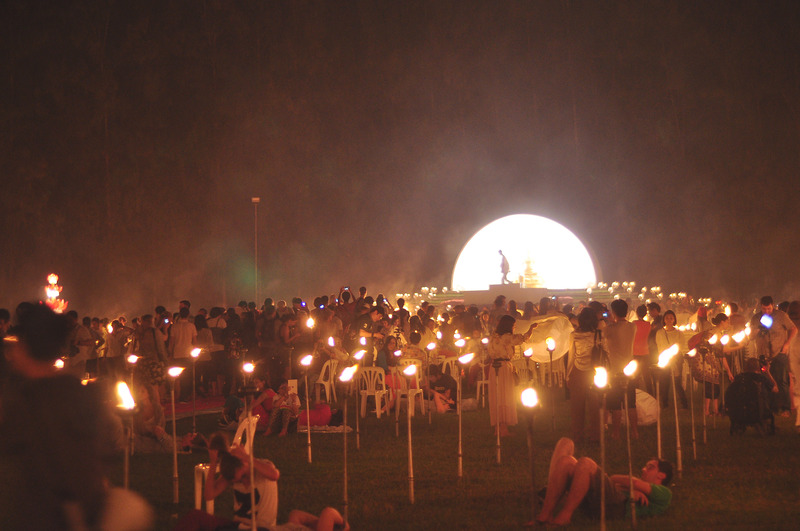 I gave myself a year and towards the end of that year, I found myself in Thailand, where they light up the skies and the rivers with floating lanterns and candles set on lotus-shaped containers called “Krathongs” as a way of giving thanks. 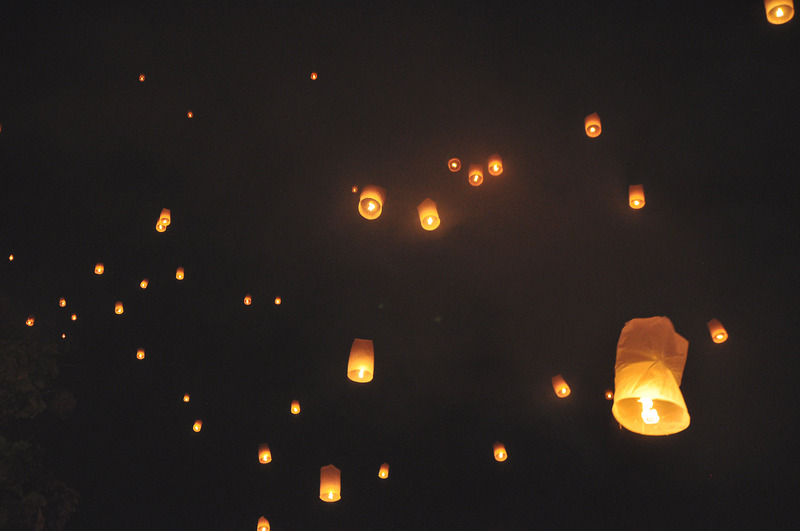 It is also a symbol of letting go – a cathartic release of negative thoughts and emotions. I remember running a lot on the first night we came to see the lights. I remember thinking, “If only I could run faster” or “Damnit, I wish I had run sooner.” I remember being irrationally afraid about the whole event. After looking at countless photos of the festival, I had developed expectations and I was nervous that somewhere along the way, things would go horribly wrong. All that disappeared when we came to the clearing. Sure, we missed the release, but just to be physically there was overwhelming and beautiful. 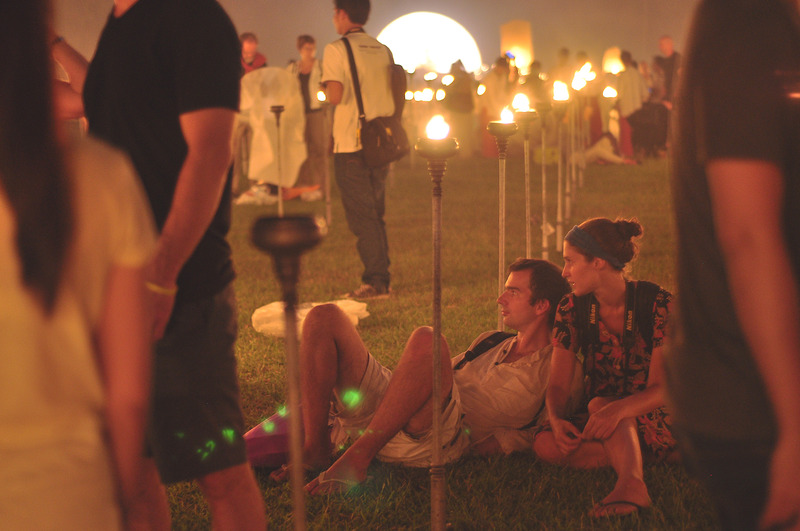 There were candles all around and people were lying on the grass, watching the sky. 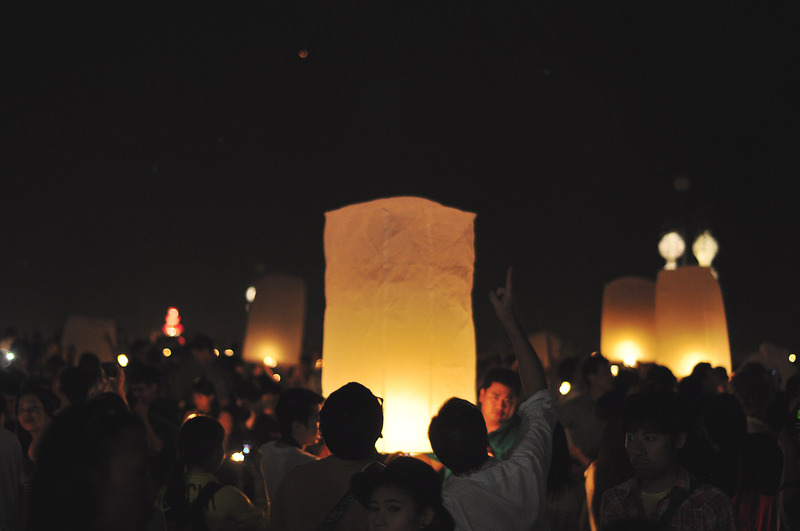 When most of the people had left, we bought our own paper lantern and released it into the air. It floated gracefully with the others, carrying with it our whispers of gratitude. 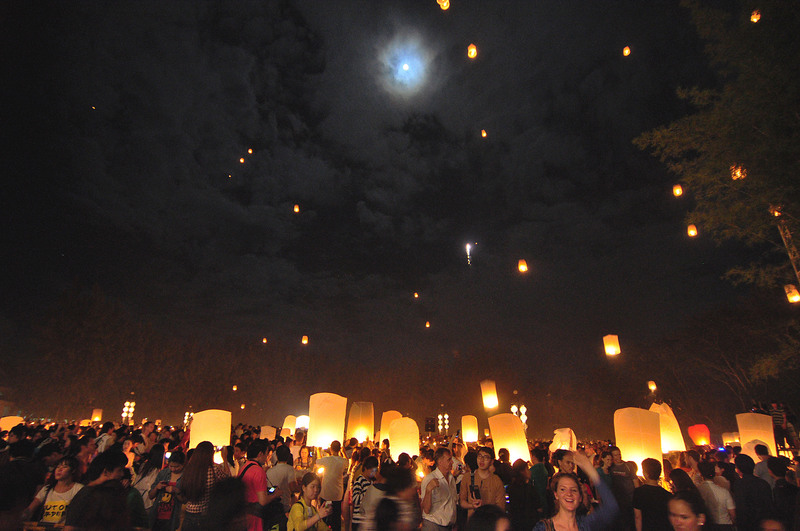 The lanterns will be floating again in 2014. I’m definitely up for another run. Teaaaarssss ❤ Gusto ko bumalik next year. As in. beautiful photos and wonderful writing! Lovely pictures, awesome post. Way to go to follow your dreams!